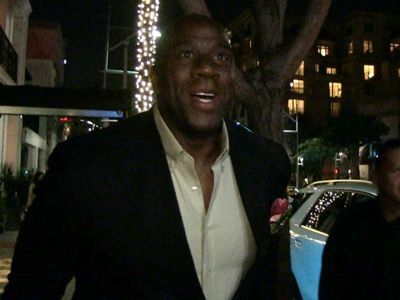 Matt Bomer is praising Magic Johnson for his fight against HIV & AIDS, telling TMZ Sports the Hall of Fame basketball player was "incredibly brave" in taking on the disease. Today is World AIDS day and Bomer is a huge activist, so when we got him at LAX we wanted to know his thoughts on some of the figures who are helping to win the war. That's when Matt brought Magic's name up, telling us public figures like Johnson were and are key to defeating AIDS, because they put a face to the disease, and that's key to humanizing it. 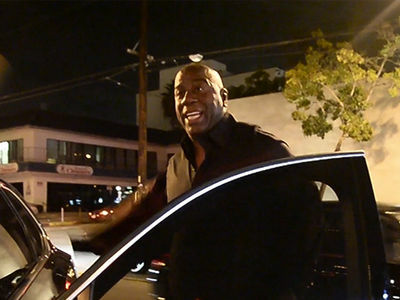 Of course Magic did that on a day in 1991, when he told the entire world he'd contracted HIV, and went on to spend a huge chunk of his life helping the world conquer it. While he conquered just about everything else, too.